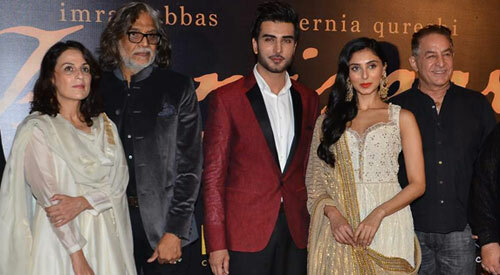 Well the period movie – Jaanisar had its trailer launch a few days back. It is directed by Muzaffar Ali and is funded by Pernia Qureshi’s dad, Moin Qureshi who is embroiled in some Hawala racket. The movie credit reads Meera Ali’s name as the Producer but that’s just on paper. 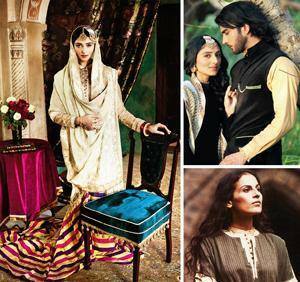 The period movie stars a Pakistani hero – Imran Abbas Naqvi besides our Bagwati, Pernia. Besides getting paid to make a movie, Muzaffar Ali and Meera Ali also gained from loading the movie with Meera & Muzaffar Ali Couture ensembles. In company of the Late Ponty Chaddha, (Moin used to be often seen with Ponty before his death) Moin got the filmy fever and his daughter always harbored Bollywood dreams. Let us wait and see how Jaanisar does once it is released. I will definitely see it for Bagwati’s sake! Is pernia still seeing corto moltedo or with a bombay builder? Any gossip about Sid Malhotra and Varun Dhawan and their supposed “bromance” ? So Kangna acted in Ponty’s film and we are to believe that no couches were harmed in this transaction ;)? Bolo Jack ji – poori film bana di Kangna ke liye daroo king ne, kuchh to fayda hua hoga uska.